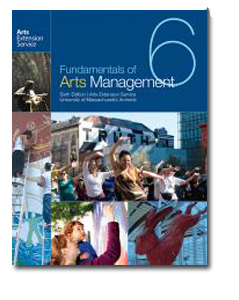 Fundamentals of Arts Management is the classic text in arts management that has been helping professional and volunteer arts leaders learn to connect the arts and community. Combining in-the-trenches experience with scholarly research, our authors share practical information and provide cutting edge tools for artists, arts administrators, educators, students, cultural advocates, civic leaders, economic development specialists, regional and urban planners, municipal officers, and human service organizations. Creative Placemaking by Tom Borrup, Ph.D.
Arts and Cultural Policy by Robert Lynch (Americans for the Arts) and Craig Dreeszen, Ph. D.